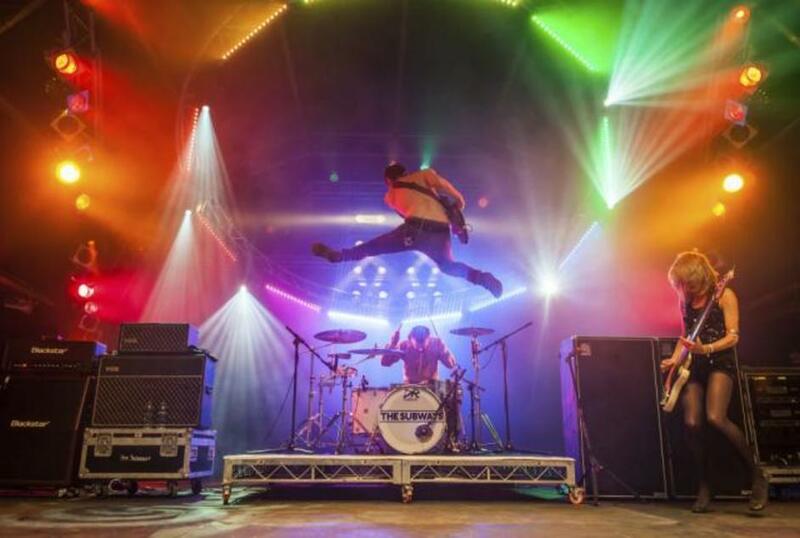 English rock trio The Subways perform one night at the Shepherd's Bush Empire this April. Hailing from Welwyn Garden City, the band - made up of vocalist Billy Lunn, bassist Charlotte Cooper and drummer Josh Morgan - will be embarking on a 40 date European tour in support of their fourth studio album, The Subways. The album continues the heavy rock that they have become known for and sees Lunn take on full engineering, production and mixing responsibility. LondonTown.com has got two pairs of tickets to see The Subways live at Shepherd's Bush Empire to give away. To be in with a chance of winning, simply email competitions@londontown.com with 'The Subways' in the subject line. Please also include your full name and contact telephone number within the body of the email and be sure to send it by midday on Monday 30th March 2015. What are the best dining options near The Subways London? The Subways gyms, sporting activities, health & beauty and fitness. The best pubs near London The Subways. The Subways clubs, bars, cabaret nights, casinos and interesting nightlife. Where to have your meeting, conference, exhibition, private dining or training course near The Subways. Tribute bands The Clone Roses, Oasish and The Smiths Ltd perform. The Russian singer performs his pop-rock material. The pairing of musicians Conor Oberst and Phoebe Bridgers performs its indie-rock originals. K-Pop and dance-pop boy band from South Korea. From cheap budget accommodation to luxury 5 star hotels see our discounts for Shepherd's Bush Empire hotels, including Hilton London Kensington Hotel from 87% off.